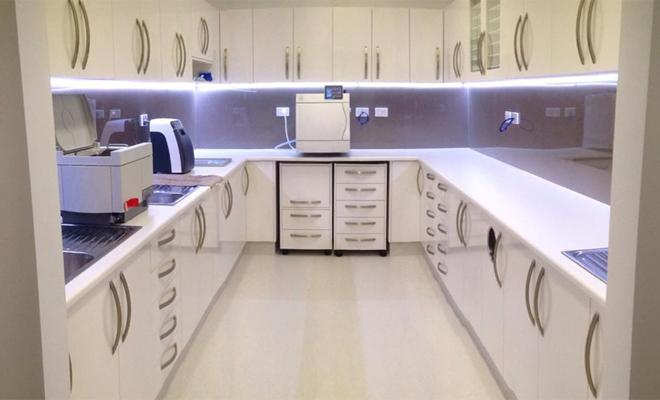 Jacaranda Family Dental is a modern dental practice with truly state-of-the-art facilities in Gympie. Having lived here since July 2012 we established our very own practice in July 2014. Our dental practice provides excellent general and preventive dental care, as well as all cosmetic dentistry procedures including porcelain veneers, crowns and teeth whitening. Our team are highly experienced and expertly trained to provide you with the highest levels of care. Dr Adam Bradshaw graduated from the University of Queensland with Honours and has worked at practices in Noosa, Brisbane, Rockhampton and Kingaroy before settling in Gympie. We understand that some patients may feel anxious or uneasy about visiting the dentist. We make it a point of providing a relaxing and comfortable experience. 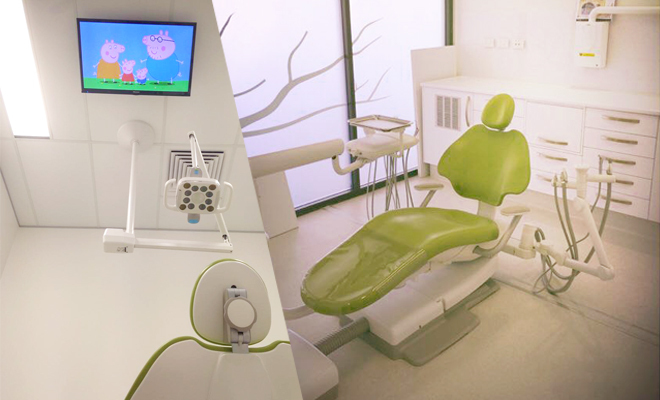 We use the latest techniques and the most up-to-date modern equipment to provide you with pain free dentistry and high quality treatment. The most important thing is building trust with you. Everyone’s needs are different. Our team is dedicated to providing you with excellent, individualised care and service. We are always appreciative of our patients for their trust in us to take care of their dental needs. We understand that people lead busy lives. 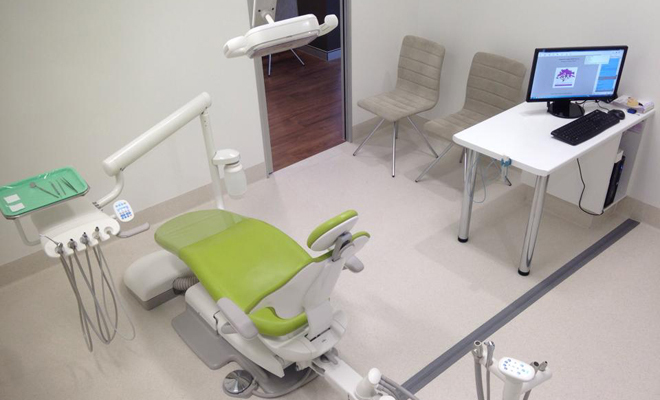 Our Gympie dental clinic will always ensure a minimum waiting time for appointments. Our evening appointment times until 7pm of a Tuesday and Thursday will allow you to fit your dental appointment into your busy schedule. We are also open on Saturday by appointment for the convenience of our patients. After-hour dental emergencies are catered for. Accidents happen! If you require an emergency dental appointment, please call us on 0421 882 183. Our extended hours and after-hours availability make it very easy for you to visit us. We treat patients from all over Gympie and surrounding areas. Please contact us via phone or by the contact form on our website. We provide all aspects of dentistry including general & preventive dentistry, cosmetic & children's dentistry, orthodontics & teeth whitening. We welcome all new patients. Our dentist, Adam Bradshaw, has a patient-centred approach to provide you with personalised care. For after-hours treatment, we can provide on-call emergency dental services. Contact our Gympie emergency dentist on 0421 882 183. Would you like to meet the Jacaranda Family Dental team? 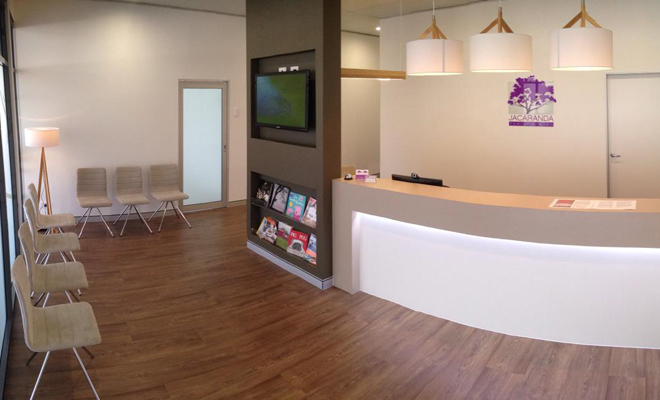 Jacaranda Family Dental is based in the Southside Town Centre in Gympie. A dental practice for the whole family. Conveniently open after hours during the week as well as by appointment of a Saturday.